Viber lets everyone in the world connect. Freely. More than 200 million Viber users call, text, and send photos worldwide – for free. 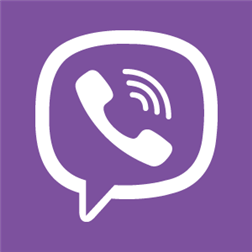 Viber is available for Windows Phone, Android, iPhone® and other smartphones. We are constantly introducing new features, platforms and possibilities. Viber integrates with your phone to provide the best VoIP experience. It syncs with your contact list, automatically detecting which of your contacts already have Viber. Your phone number is your user ID, so you don’t need a username and password. – Support for the all new Viber Desktop – on Windows and Mac OS! – Send stickers and emoticons, making messaging fun! Localized to: Arabic, Catalan, Czech, Danish, German, Greek, Spanish, Finnish, French, Hebrew, Hungarian, Indonesian, Italian, Japanese, Korean, Malay, Dutch, Norwegian, Polish, Portuguese (Portugal), Portuguese (Brazil), Russian, Swedish, Thai, Turkish, Vietnamese, Chinese Simplified, Chinese Traditional, Hindi and Tagalog.